Glorious Devon has long been a firm favourite with discerning young families on holiday. Given the wealth of top-notch, child-friendly attractions in the region, it’s easy to see why so many parents view Devon as the ideal place to spend quality time with their little ones. 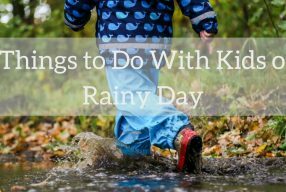 If you’re looking for inspiration before your family holiday there, take a peek at our handpicked selection of things to do with the kids. 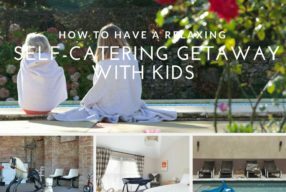 When you’re ready to book your getaway, you’ll find there’s a wonderful variety of luxury Devon family holiday accommodation available to you. Devon is renowned for its beautiful beaches, and the cream of the crop for young families must surely be Blackpool Sands in stylish Dartmouth. With its aquamarine waters and smooth shingle, this Blue Flag beach is credited with bringing a Mediterranean atmosphere to the UK coast. Blackpool Sands is cleaned daily during the holiday season, and its waters are checked by the Environment Agency so it’s an ideal spot for paddling or swimming with the kids. While you dry off, check out the sandpits and rock pools then enjoy tasty organic fare at the Venus Beach Café. 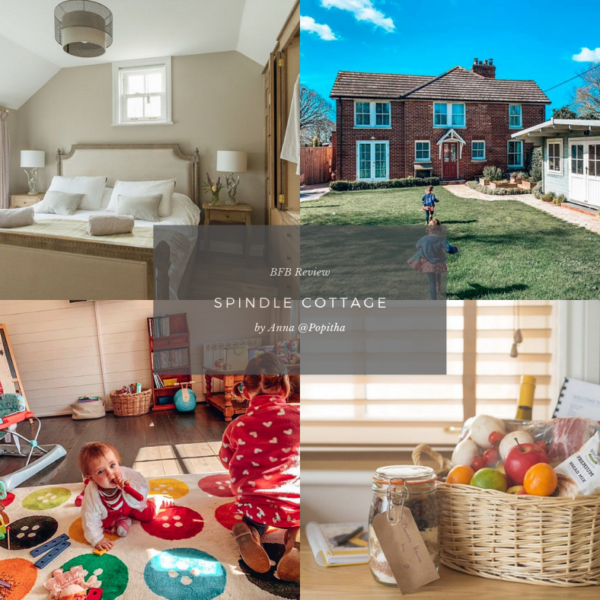 Stunning family holiday accommodation at The Coach House, complete with a play area and heated pool, is a short drive away. 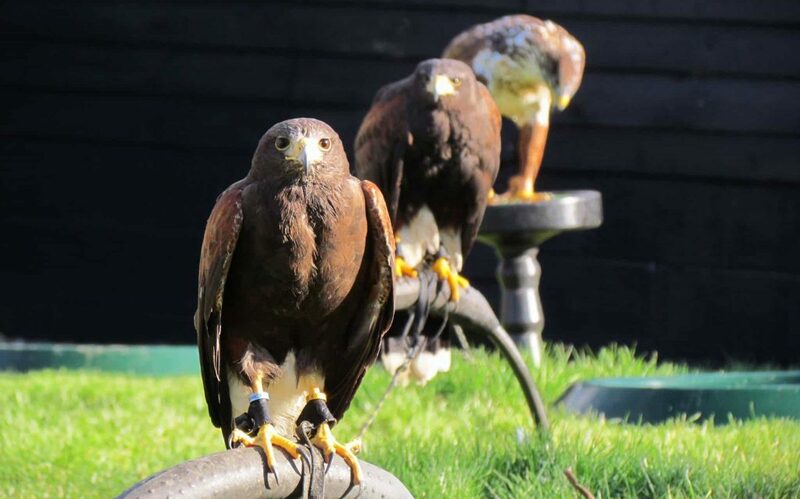 At Yarak Birds of Prey near Tiverton, bird fans of all ages are invited to watch eagles, falcons, hawks and owls swoop and soar during impressive flying demonstrations. As entry to the centre is by appointment only, you and your children can enjoy a truly tailored experience. Yarak offers visitors a rare opportunity to see some of our most remarkable feathered friends up-close. Not far from the centre is child-friendly Drake’s Cottage, which will also appeal to budding ornithologists and their parents. This luxurious, well-equipped Devon holiday property is close to duck ponds, hens and incredible scenery. Treat your kids to an al fresco dining experience like no other as you travel along the River Dart enjoying Devon’s fantastic scenery. The Picnic Boat from Dart Marina offers relaxing family cruises, and its mouth-watering menu features fabulous local produce. How about tucking into a West Country luxury picnic or celebrating a special occasion with a Devon cream tea? Afterwards, look out for wildlife or try your hand at crab fishing. With on-board heating and a canopy, you’ll all stay warm and dry. For peace of mind, youngsters are provided with lifejackets. Elegant Colby Cottage is conveniently close to Dartmouth and has plenty of kids’ essentials plus a fun playfield. 4. Come Face-to-Face with a T-Rex! What could be more exciting than close encounters with prehistoric creatures? 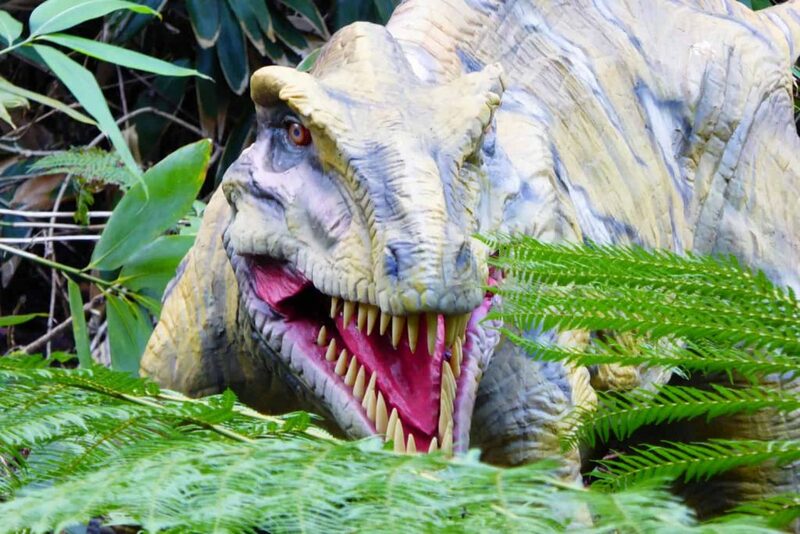 At Combe Martin Wildlife and Dinosaur Park, go in search of Devon’s spectacular, life-size dinosaurs powered by cutting-edge animatronic technology. Introduce your family to a family of Triceratops in the sub-tropical gardens – but don’t wake the giant Tyrannosaurus Rex… Thank goodness he’s kept in a dinosaur-proof enclosure! There are plenty of real creatures at the park too – it features everything from baboons to exotic birds. 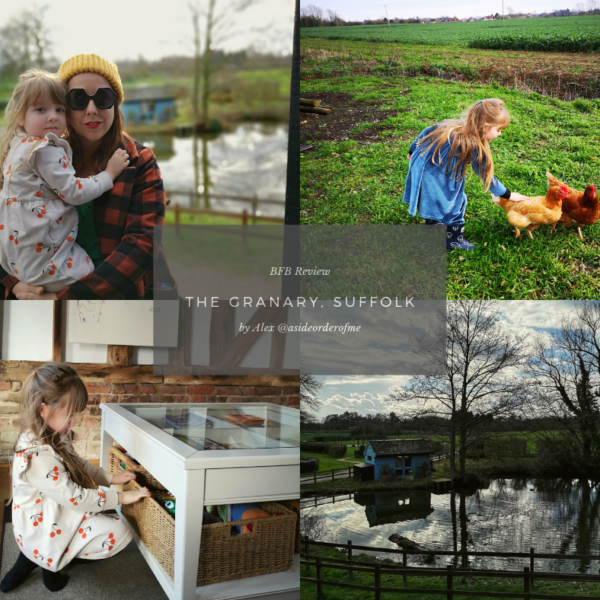 You’ll also find a wonderful menagerie nearby in the grounds of the award-winning, family-orientated Aylesbury Cottage, which combines rustic charm with modern comforts. Exeter Sculpture Walk’s combination of brilliant art and gorgeous scenery is bound to capture your kids’ imaginations and leave you feeling inspired too. The sculptures on display at the University of Exeter’s sublime Streatham Campus include works by major talents such as Barbara Hepworth. You’ll marvel at the way they seem to grow out of the landscape. Look out for Deborah Duffin’s ‘White Entwined’, which hangs from a walnut tree. Nearby is the comfortable, well-appointed Orchard Cottage. A range of kids’ facilities makes this spacious Devon holiday home well suited to parents with pre-schoolers. 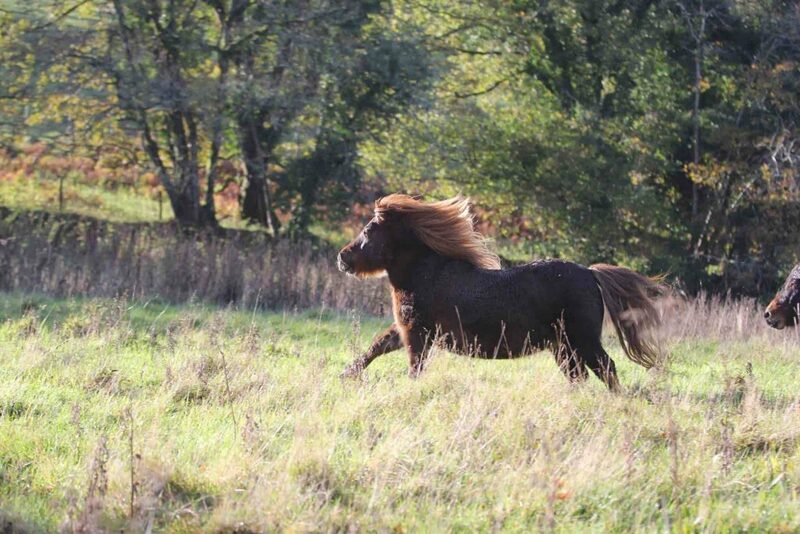 Head to The Miniature Pony Centre in Dartmoor National Park to meet Devon’s cutest inhabitants, who love being stroked and cuddled! Children aged three to ten can ride Harry, Belle or one of the centre’s other experienced riding ponies, under the watchful eye of the helpers. These supervised pony rides are even suitable for first-time riders, and everyone is rewarded with a rosette. There are opportunities to feed and groom the mini ponies, as well as put them to bed. You might even be able to give one a bath! Totnes’ fabulous Yennadon Barn family holiday home is ideally situated for trips to the centre. At the incredible Overbeck’s Museum and Garden in Salcombe, there’s a tropical paradise waiting to be discovered by you and your family. Thanks to the mild climate, many rare, exotic plants grow happily in this corner of Devon. The avenue of palm trees and banana grove must be seen to be believed! 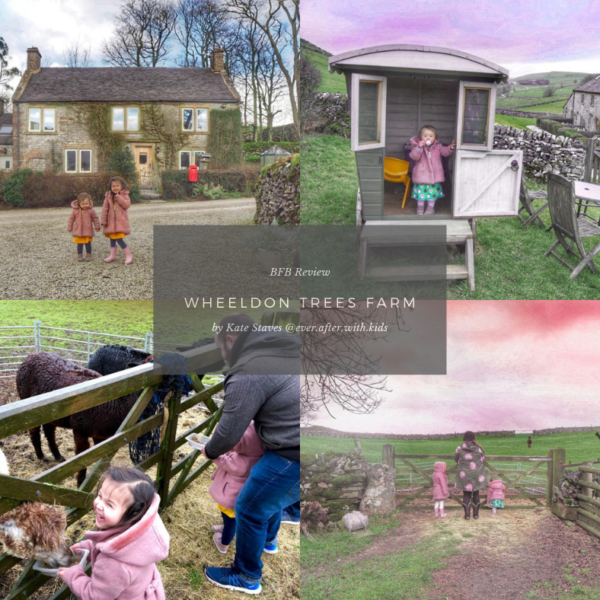 Overbeck’s is looked after by the National Trust, which has created a series of nature trails to keep young visitors amused as they explore this weird and wonderful world. Stay at Salcombe’s child-friendly Crossways to enjoy sumptuous interiors and panoramic views. Parents are provided with plenty of useful equipment for looking after little ones. As if Watermouth Castle’s Victorian treasures, magnificent gardens and stunning cove weren’t exciting enough, the whole family will be amazed and entertained by its famous underground attraction. 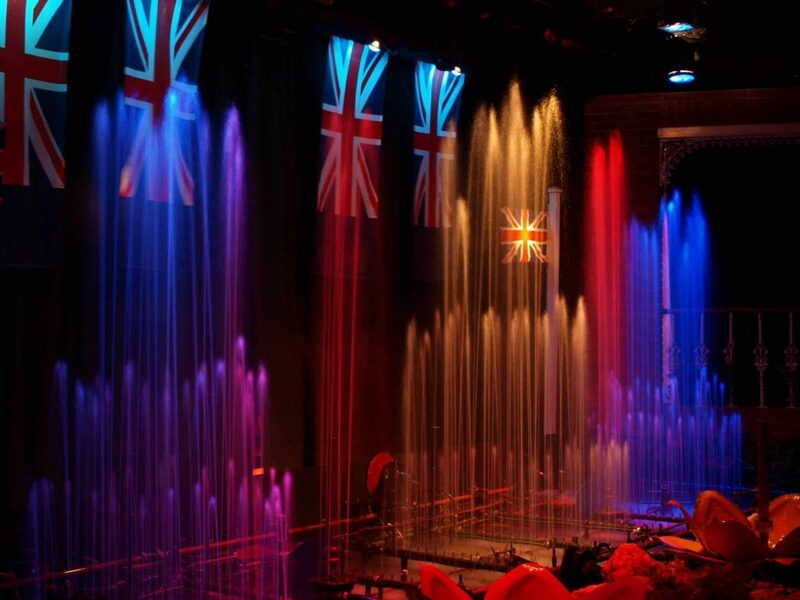 Originally created to celebrate the Festival of Britain in the 1950s, the Water Show Extravaganza unites jets of water, lights in all the colours of the rainbow, and the Mighty Mortier Organ for a unique performance. Watch the spectacularly illuminated water sparkle as it dances to the rhythm of the music. The Georgian House at Coulscott is near Watermouth Castle and boasts similarly spacious, elegant surroundings. Set in 12-acre grounds, this lavish Devon holiday home can accommodate even large families. 2017 marks 90 years since Henry Williamson’s wonderfully poetic story, Tarka the Otter, was published. What better way to celebrate its anniversary than by exploring the Tarka Trail with your little ones? 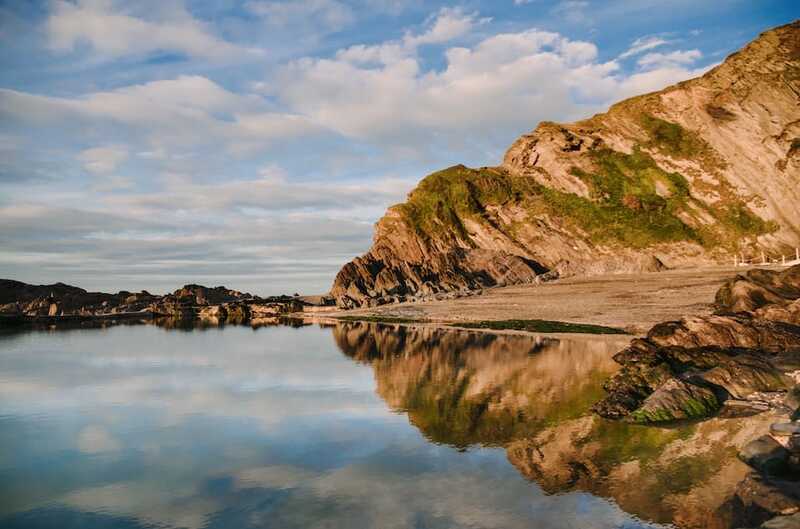 Follow the fictional otter’s route through gorgeous North Devon on the trail, which features plenty of footpaths and cycle tracks. A highlight is the 32-mile stretch between Braunton and Meeth: it’s out of bounds to cars, making it ideal for young families who want to spread their wings in style. The scenery is truly unforgettable – enjoy woodland, streams, meadows and more! Towards the trail’s end, even more beauty and tranquillity awaits you and your family at the chic, inviting Bramble Cottage in Torrington. 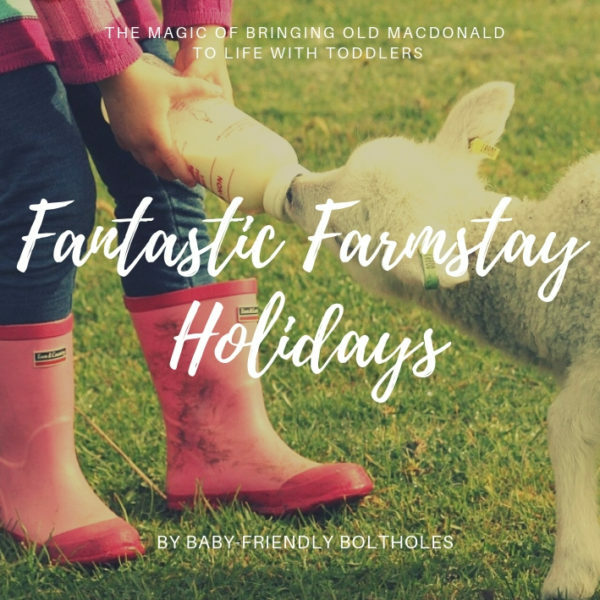 The family-owned Totnes Rare Breeds Farm fosters a love of nature in young visitors while protecting special and endangered breeds of farm animals. 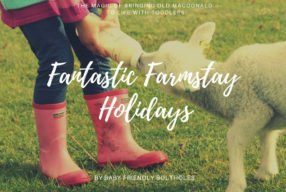 Take your kids there for a day out and they can enjoy feeding little lambs, cuddling baby goats and counting chicks. 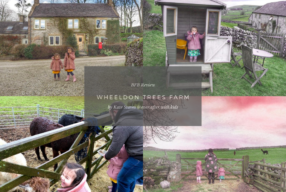 With their emphasis on hands-on activities, the farm’s helpers bring families close to the enchanting animals while maintaining high standards of safety and hygiene. Totnes Rare Breeds Farm is a rare kind of attraction: it’s both enjoyable and educational. Beautiful Meavy Barn, a family holiday cottage in Devon’s exclusive South Hams, is within easy reach. It has inspiring views and superb kids’ facilities. Kids grow up incredibly quickly – before you know it, your little ones aren’t little anymore! 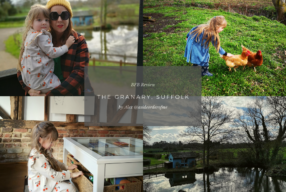 With that in mind, The Art Café Ceramic Studio helps families to make bespoke keepsakes designed to bring back wonderful memories in the years to come. At this pretty café in Kingsbridge (a real gem of a Devon market town), your children can create handprints and footprints using paint or clay, which are then preserved in pottery. 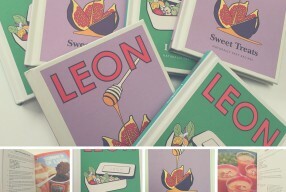 Parents can add heartfelt words to personalise these creations before the whole family enjoys delicious homemade cake. Just ten minutes by car from Kingsbridge, you’ll find Cartwheel family holiday cottage, a fantastic property with a playground and pony paddock! Take your children on an extraordinary journey through hand-carved (and pushchair-friendly!) tunnels leading to spectacular, secluded beaches. Tunnels Beaches in Ilfracombe has been delighting Devon holidaymakers of all ages since the early nineteenth century. With its awe-inspiring rugged scenery and Victorian tidal bathing pool, the attraction offers families a very special day out indeed. After you’ve all worked up an appetite, head to the chic Café Blue Bar at Tunnels Beaches’ entrance for delicious cuisine made with local produce. Priory House, a family holiday home nestled in Barnstaple’s countryside, is only a short drive away. 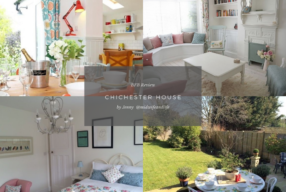 It’s spacious and stylish – plus there’s a treehouse for young explorers! The best way to see Devon’s magnificent Bicton Park Botanical Gardens must surely be to take a trip on a charming mini train. The Bicton Woodland Railway runs between two specially built stations, Bicton and Hermitage, within the park’s grounds. 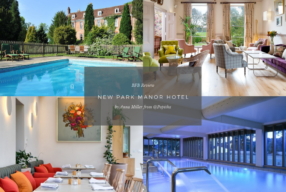 The impressive sights include Grade I-listed historic gardens, the gorgeous Great Lake and enormous trees in the pinetum. 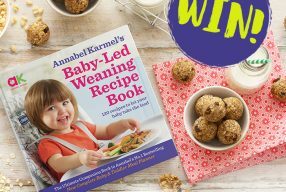 Your kids will feel as if they’re riding a magical toy train through an enchanted forest! What’s more, the journey’s steady, gentle pace gives all passengers, young and old, plenty of opportunity to drink in the scenery. A stone’s throw from Bicton Park is Rydon Stables, a light, airy holiday home designed for young families. 14. Cheer on the Famous Racing Micro Pigs! Young families love Pennywell Farm, and this popular Devon attraction has won multiple awards as a result. The most famous residents are undoubtedly the fabulous micro pigs. Every afternoon, visitors can watch these tiny yet speedy creatures enjoying their favourite hobby when the farm holds miniature pig racing competitions! 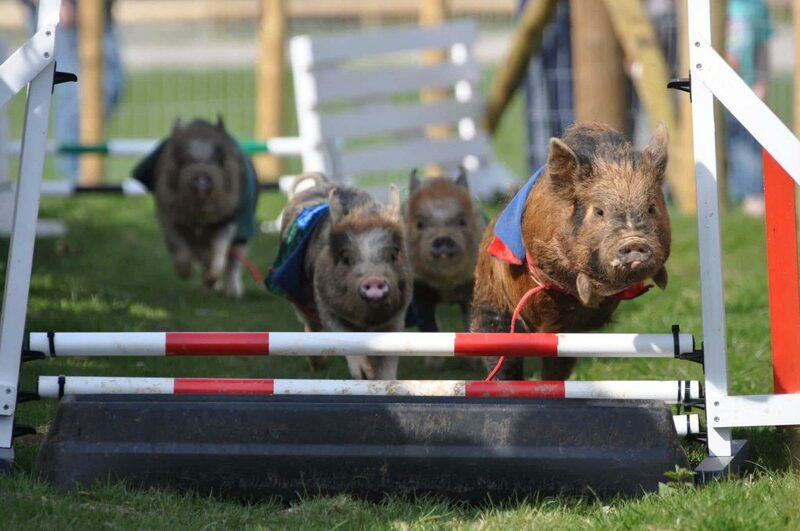 Watch the pint-sized pigs leap over hurdles and dash towards the finish line! 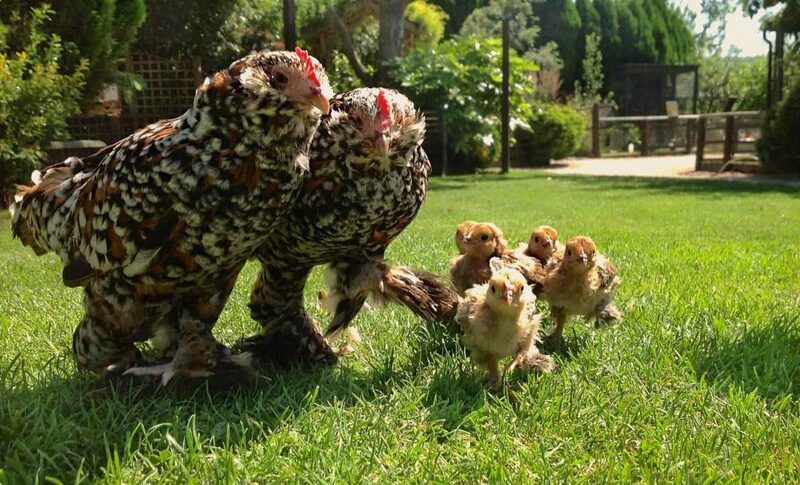 These quirky races have a special charm all of their own and are always a winner with children. Less than 20 miles away, you can discover the architectural splendour of Glasshouse at Barrington House, a truly unique Devon family holiday home. 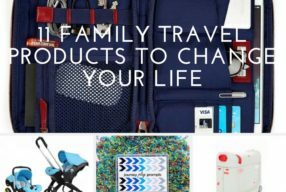 Your kids will love the toys, treehouse and trampoline! What Devon family holiday would be complete without introducing little adventurers to the excitement of fossil hunting? The renowned Jurassic Coast stretches for almost 100 miles between East Devon and Dorset. No wonder it attracts fossil fans from around the world. Charmouth Beach, just over the Devon-Dorset border, is regarded as the safest, best place to find ancient treasures such as ammonites. Start your trip at the Charmouth Heritage Coast Centre, which organises fossil-hunting walks and offers tips for safe, responsible fossil collecting. Nearby is a large, luxurious Devon family holiday property, The Old Rectory in Colyford. It has everything young families could need and plenty of kids’ facilities. 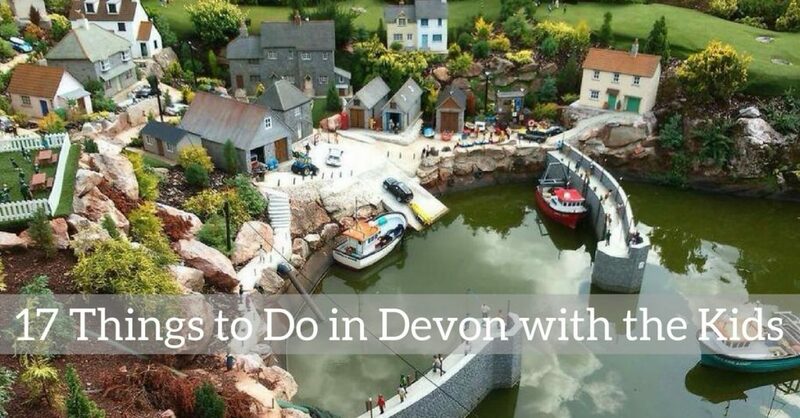 The acclaimed Babbacombe Model Village and Gardens is guaranteed to give the whole family a fresh perspective on Devon. At this marvellous attraction, youngsters and their parents have the opportunity to survey hundreds of miniature scenes as if they were giants! Every aspect of the model village, from its miniature celebrity mansion to fire-breathing dragon, has been crafted with incredible attention to detail. What’s more, the small-but-perfectly-formed scenes are populated with thousands of mini people! Pick up a ‘spotter sheet’ to make sure your family doesn’t miss anything. The model village is a short drive from glorious Gitcombe House, which offers holiday accommodation that families will adore. Children can enjoy everything from an antique rocking horse to adventure playground! 17. Have a Sleepover – with Sharks! If you and your children have ever wondered how some of the world’s most amazing, mysterious creatures spend their evenings, you can find out in Devon! Plymouth’s National Marine Aquarium, the largest attraction of its kind in the UK, hosts magical Sleeping with Sharks family sleepovers. Take a twilight tour of the tanks, which are home to thousands of creatures, and look out for the aquarium’s most popular residents, including enormous lemon sharks Citron and Limona. Afterwards, settle down to watch a family film by the beautiful Eddystone Reef tank, where smooth-hound sharks Stella and Stanley hang out. 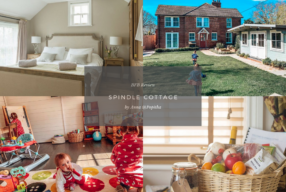 Stunning Pypard Cottage is less than an hour away and also has plenty to keep young families amused, in addition to home-from-home comforts. Perfect!